A version of this article was originally published October 1, 2018 on Greentech Media. Attendees at the Electric Power Research Institute’s Electrification 2018 conference spoke often about the concept of “beneficial electrification.” This captures the idea that switching from fossil energy to electricity in transportation and buildings holds tremendous potentialto dramatically increase grid flexibility, reduce total household and business energy costs, and reduce air pollution and greenhouse gas emissions. In this positive vision, the future is all-electric. However, even though electrifying some buildings and many vehicle types is already cost-effective, electricity policy veterans know that change rarely sweeps unchallenged through these highly regulated sectors. Widespread beneficial electrification requires anticipating and removing technical and institutional barriers to take full advantage of technological trends. Unless policymakers start preparing for the electric wave today, its positive benefits may either be delayed or never materialize. The first barrier is understanding customer behavior. Getting customers to adopt electric technologies in a beneficial way requires knowing which customer incentives and education prompt fuel-switching, and which electricity pricing schemes (i.e., rate designs) can make that switch even more cost-effective for all. The second barrier is the electric utility business model. We think of electrification as enhancing the electric utility business model because it increases demand, but getting the most out of electrification requires incentivizing regulated utilities to optimize vehicle charging and shift new electric loads to minimize costs and improve system flexibility. Meeting these conditions is a win-win for electric utilities and customers, offering new services and increasing sales. This requires new frameworks for utility commissions to assess benefits of electrification. Consider energy efficiency measures. Metrics for the success of these programs are generally centered on cost-effectiveness and total megawatt-hours reduced. States with environmental policies may include social benefits of pollution and greenhouse gas emission reductions. These metrics will have to be revisited such that beneficial electrification, which may increase demand and total electricity costs, is not at cross purposes with traditional metrics for electric utility efficiency. For example, an efficient heat pump may offer lower costs or greater social benefits than gas- or oil-fired heating, particularly in the oil-dominated Northeastern U.S., according to Rocky Mountain Institute’s recent analysis. Similarly, an electric vehicle may require less total energy, cost less over the vehicle’s lifetime, or emit less pollution than an internal combustion engine. Measuring and incentivizing beneficial electrification means considering a holistic picture of total customer energy costs when evaluating efficiency. Electrification’s best case emerges when utilities and regulators actively manage the time and location of new electric end uses at the local and bulk-system level. EVs offer tremendous opportunity to reduce costs and eliminate harmful local emissions; electric motors convert energy into vehicle miles three times more efficiently than internal combustion engines. But because EVs represent significant new loads, as a recent McKinsey analysis shows, relatively low EV adoption rates can stress the grid and increase costs if charging is not managed effectively. Some early-adopting local areas of the grid (feeders) could soon see 25 percent EV penetration, increasing peak load by 30 percent, stressing local capacity and potentially requiring costly upgrades. However, McKinsey’s analysis also finds that peak load in the same feeders would only increase 16 percent if 90 percent of the EV owners adopted time-of-use rates encouraging overnight charging. National electrification was examined by the National Renewable Energy Laboratory (NREL), and its “high electrification” 2050 scenario explores the demand impacts of electrifying most building heating and almost all vehicles (100 percent of cars, 91 percent of trucks, 60 percent of mid-duty vehicles, and 40 percent of heavy-duty vehicles). Though EV demand dominates total load increase in this scenario, peak load shifts to the winter in colder climates due to the outsized seasonal impact of electrified heating loads. These studies thoroughly demonstrate the benefits of managing location and timing of new loads from electrification. However, the amount of load-shifting that is possible will vary depending on region and the business models driving it. This means the key to beneficial electrification is creating a policy environment maximizing flexibility and efficiency of new electric end uses. Rate design is a key tool for getting the most out of electrification. Customers with the right price signals and tools to automatically manage their loads can electrify at even lower costs without sacrificing convenience. Automated devices controlled by the utility or another aggregator could become system resources that help balance supply and demand, and provide potential customer revenue streams. And the right rates and incentives will help promote electrification where local congestion is not a problem. But this dynamic relationship between customer adoption, final price paid for energy, consumption habits, and automation technologies is not well understood. The better we understand this relationship, the better utilities can plan for and affect rates of electrification. Due to localized electrification impacts, utilities could geo-target customers with load management technologies, reducing all customer system costs, keeping concerns about inter-customer equity in mind. Utilities could build on successful models for integrated distribution planning to encourage other complementary local distributed energy resources like efficiency and distributed generation. To mitigate this knowledge gap, regulators and utilities should pilot different rate designs and management schemes for electrified end uses. Pacific Gas & Electric’s ChargeForward pilot demonstrates the potential for future EV program development. In the pilot, BMW seeks to optimize customer charging in response to two factors: wholesale energy prices and renewable energy penetration (which are highly correlated in California). Customers can see the value of charging when energy is cheapest and don’t have to manage charging themselves. BMW shares aggregate data with the utility, creating a record of response to pricing that the utility can build into future planning and resource management schemes. Building electrification can also take advantage of time-varying rates, particularly electric water heaters. Because customers only care about availability of hot water, not when water is being heated, heat pumps can overheat in times of low-cost electricity, effectively shifting load away from system peak. Grid-interactive water heaters managed by the distribution utility are already proving their value to manage grid frequency, voltage and peak demand in several state pilots, as highlighted in a recent report from the American Council for an Energy Efficient Economy. Developing business models for flexible electric end uses can help meet environmental goals, improve reliability and reduce overall customer energy costs. But it’s unclear who should or will manage these flexible loads. Utilities are the leading candidates, with their unique knowledge of the distribution system, but current cost-of-service regulation limits the amount of flexible demand management utilities will do on their own. In their eyes, increased peak loads created by unmanaged charging can justify new infrastructure investments, both on the grid and in power plants. That’s good business for electric utilities, which want to contain costs enough to keep regulators and customers happy, but lack a true incentive, other than maintaining reliability, to proactively manage the timing and location of electrification to optimize utility asset use. Efficiency performance incentives are proven tools to motivate utilities to reduce sales. 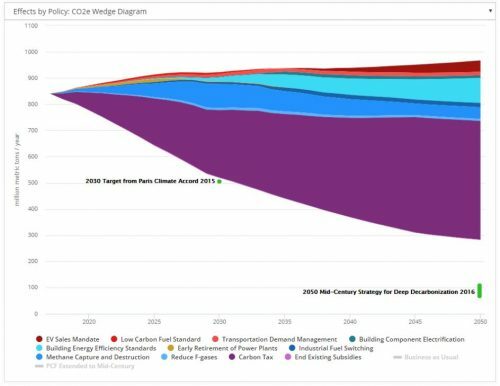 Efficiency targets aligned with state and local policy goals should accurately capture carbon savings as a result of fuel switching, even if electric load increases. Regulators can build on these mechanisms and create performance incentives that incorporate efficiency of total energy use rather than just electricity use. New efficiency metrics will need to be developed under these mechanisms, such as CO2/customer value, where environmental benefits are considered, or total energy bills as a new affordability metric alternative to total electricity bills. These changes can be complemented by new performance incentive mechanisms and performance-based ratemaking to encourage utilities to manage these end uses as system resources that displace power plants and reduce emissions. For example, incentives to reduce peak demand and improve load factor (the ratio between peak and average demand) will encourage utilities to shift vehicle charging and other electric end uses away from times when energy is most expensive. These next steps on beneficial electrification open up huge new lines of work for utilities, commissioners and advocates. They also require exploring models like new value-based rate designs and incentive-based resource management schemes, performance-based ratemaking and new utility business models, and anticipating changes to regulated natural gas utilities. Only then can we achieve the scale of electrification envisioned by EPRI and others. Mike O’Boyle is a power sector transformation expert for America’s Power Plan.